Among the objects to be displayed in the new museum when it opens on Saturday 15 September will be a theatre set in the form of a giant pop-up book, designed and painted by Scottish artist John Byrne. The pop-up book will be displayed in V&A Dundee’s permanent Scottish Design Galleries, which will include around 300 innovative objects from the V&A’s world-famous collections of art, design and performance, together with objects from other lenders. Made in 1973, the book was the original stage set for The Cheviot, the Stag and the Black, Black Oil, John McGrath’s influential play about the history and exploitation of the Highlands. The pop-up book was acquired by the National Library of Scotland in 2009 and is the largest book in its collection. The Library has granted a 25-year loan of the work to V&A Dundee, which will be displayed in the museum’s permanent Scottish Design Galleries. Since acquiring the pop-up book, the National Library of Scotland’s conservators have carried out repairs and structural adjustments to preserve the stage-set beyond its intended life-span and enable it to go on long-term display. 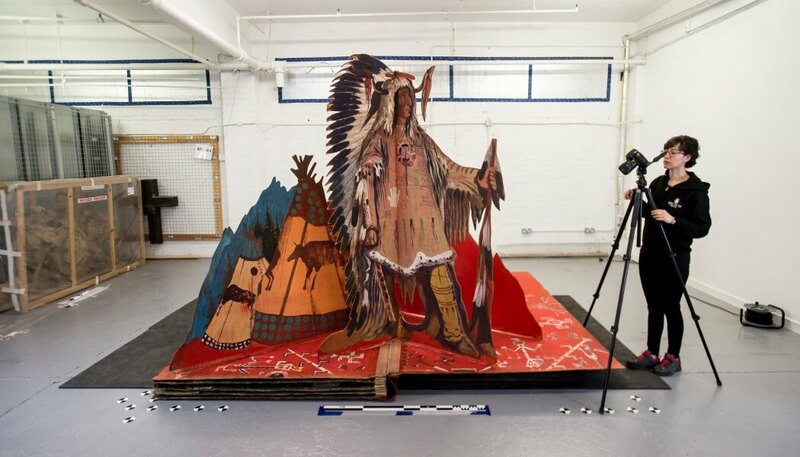 Measuring more than three by four metres when open and over two metres tall, it is made up of five pop-up scenes painted by Byrne, including a Highland landscape, a croft house, a poppy-strewn war memorial and a Native American tipi. V&A Dundee and the National Library of Scotland have also creates a virtual 3D model of the stage set by photographing each page from thousands of different angles. 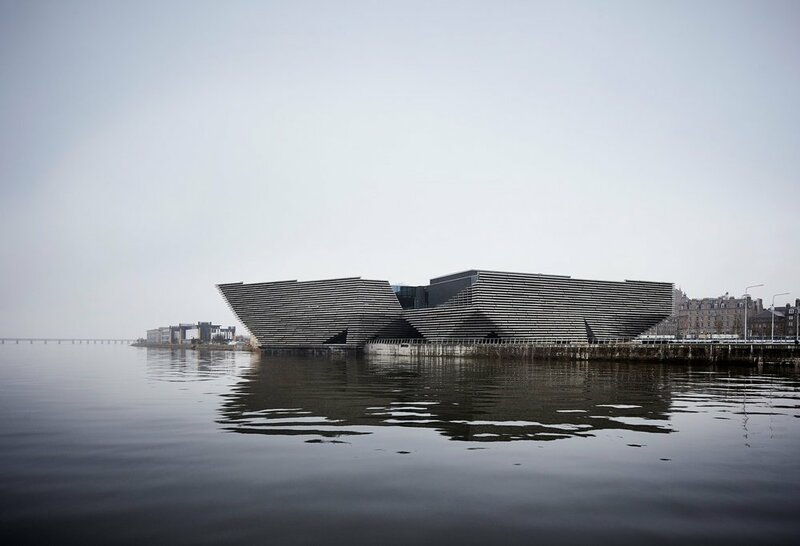 A photographic exhibition of V&A Dundee is also being presented by its architect Kengo Kuma and Associates, in collaboration with PiM.studio Architects, during the 2018 Venice Biennale. The exhibition is part of Time Space Existence, organised by the European Cultural Centre with the support of the GAA Foundation. Opening on 26 May and running to 25 November the exhibition is located in the Palazzo Bembo, Riva del Carbon, beside the Rialto Bridge on the Grand Canal in Venice.